So you like Sudoku eh? Are you the kind that whips out your phone and spends the entire commute time on the bus or train trying to fit numbers into slots? Here’s a new challenge for you. Slitherlinks! 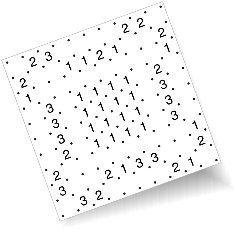 A cross between Sudoku and join the dots (a bit like those games you played clandestinely sitting in the last bench at school – boxes formed by connecting dots and with your initials in them). Thomas Synder (Dr. Sudoku) has created this latest challenge. Fair Warning: Its so addictive, you might miss your stop.